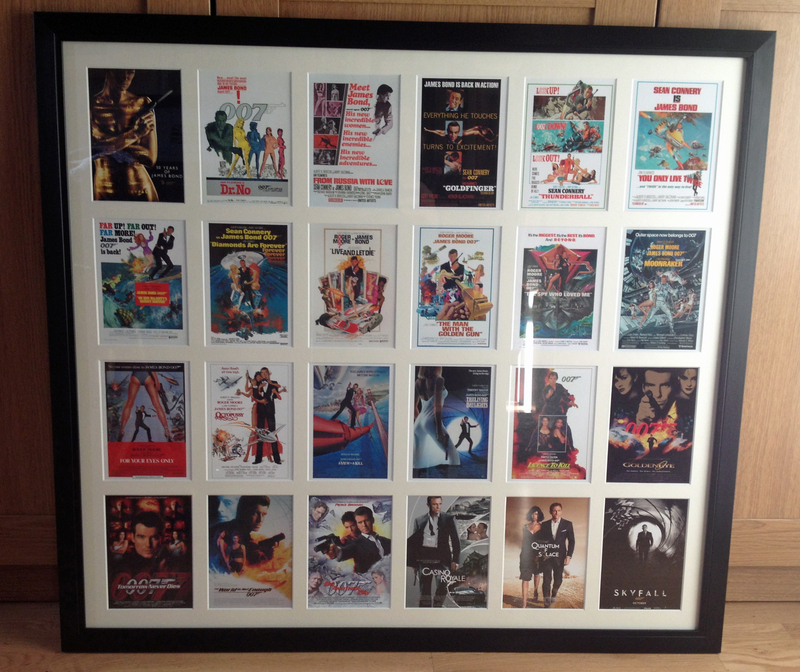 Your Picture Framer – It’s a gift! 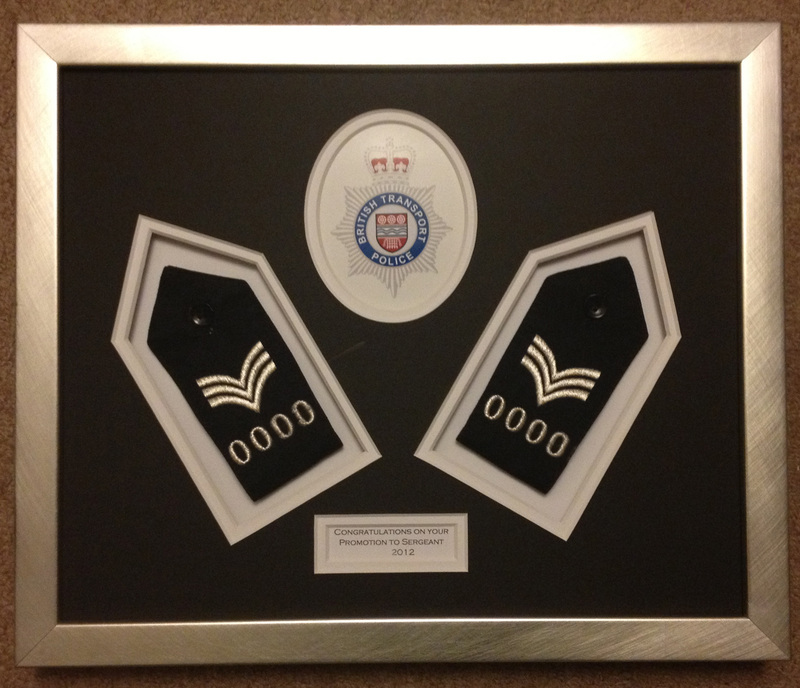 These British Transport Police shoulder badges (with the officer’s number changed) were framed to commemorate the officer’s promotion last year. We printed a BTP badge to help balance the layout and double mounted it with black on top of white in a brushed silver frame. A collection of James Bond postcards – one for each of the films. 24 apertures all perfectly aligned and cut with our Wizard computerised mountcutter. 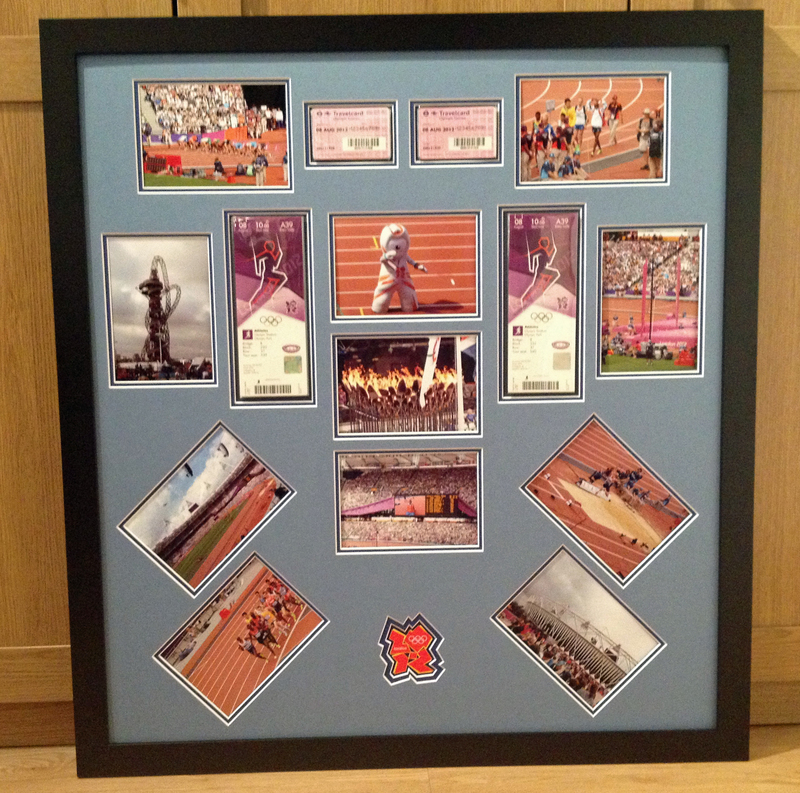 This large frame contains a number of photos taken by the customer on the day of a visit to the 2012 Olympics, also included are a pair of tickets for the Olympics and travelcards. The double mount also includes a shaped cut for the Olympic logo. 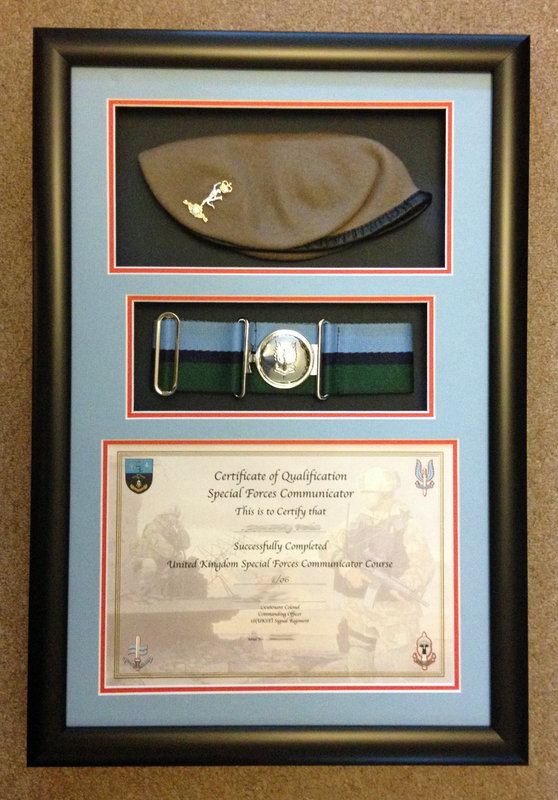 This last one was commissioned by the soldier who successfully completed the Special Forces Communicators selection. We built a frame with a deep rebate to allow enough room for the beret and belt, both of which have been sewn onto the backing to allow removal without damage in the future. Brilliant layouts, that’s what I like to see a framer who takes the time and effort in design layout, added in the printed badge is a great touch to completing a fine composition. Jan, many thanks for your kind comments. I really enjoy making the extra effort to produce something special for my customers.